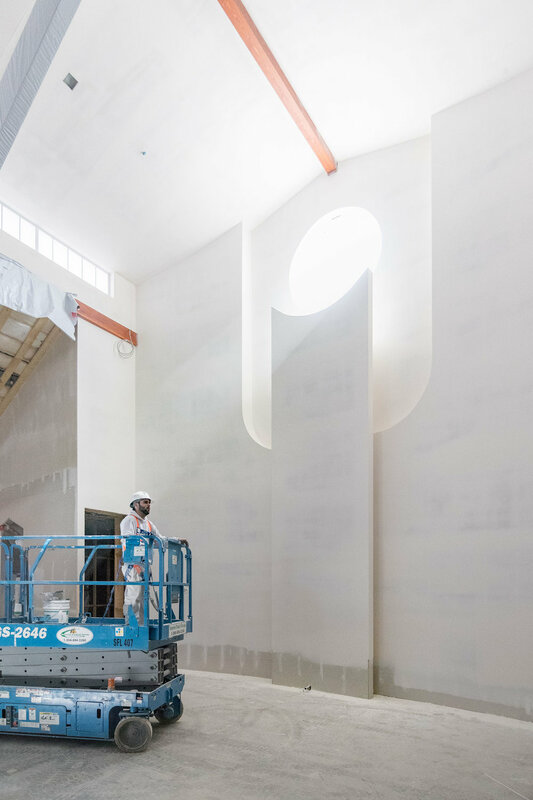 MMP is currently in the construction stage, acting as primary consultant, for the addition and renovation of Saint Philip Minh Church. 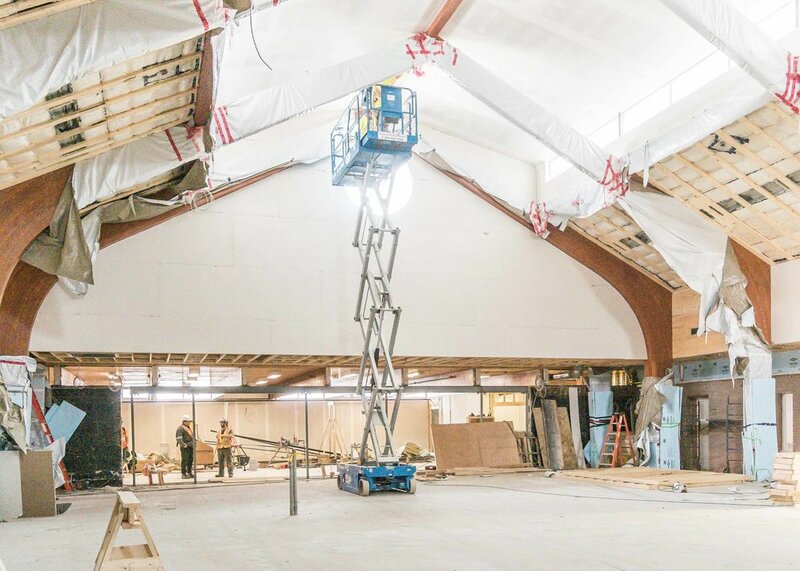 Upon completion of this phase of the project, the Church's existing 7800sf courtyard will have been converted into a 500 person worship space. For more information about about the project please see this previous blog post. 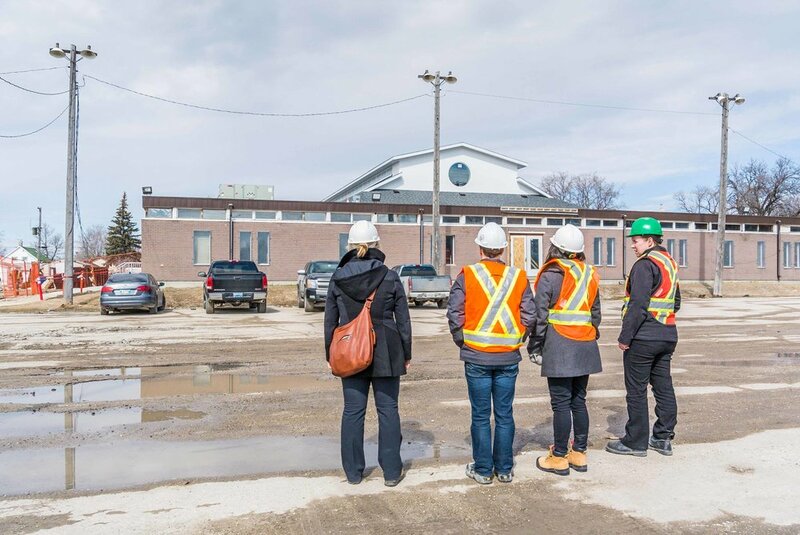 On March 28, and April 4, twelve MMP staff had the opportunity to visit the construction site at 615 Lafleche Street in Saint Boniface. 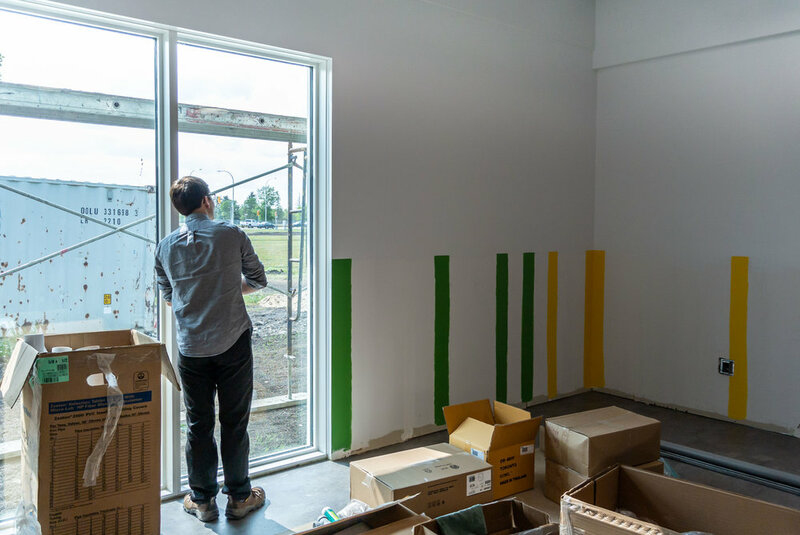 Intern Architect and Contract Administrator, Aaron Simoes showed staff around the site pointing out specific details, project intentions, and construction issues and solutions. 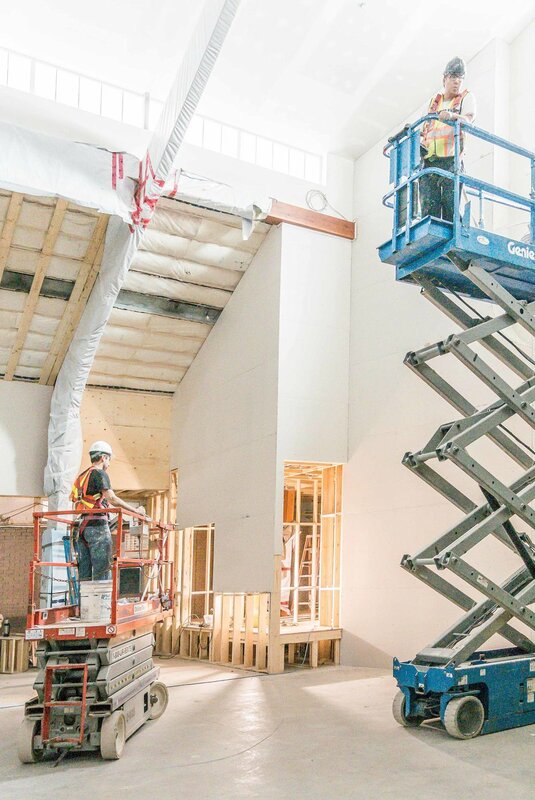 With the congregation anticipating use of their new worship space in summer 2017, the tour provided an excellent behind-the scenes look at the construction stage of the Saint Philip Minh project. 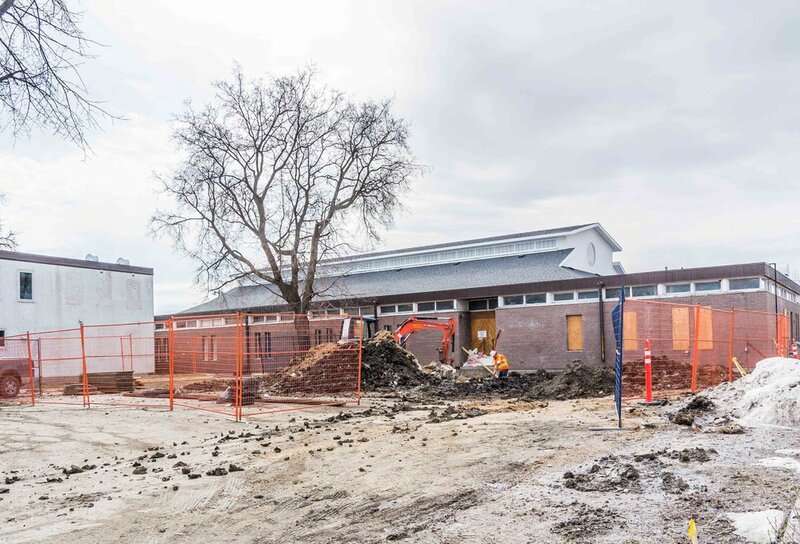 MMP’s integrated and collaborative healthcare project, Bethesda Primary Care Centre is well underway in Steinbach, Manitoba. 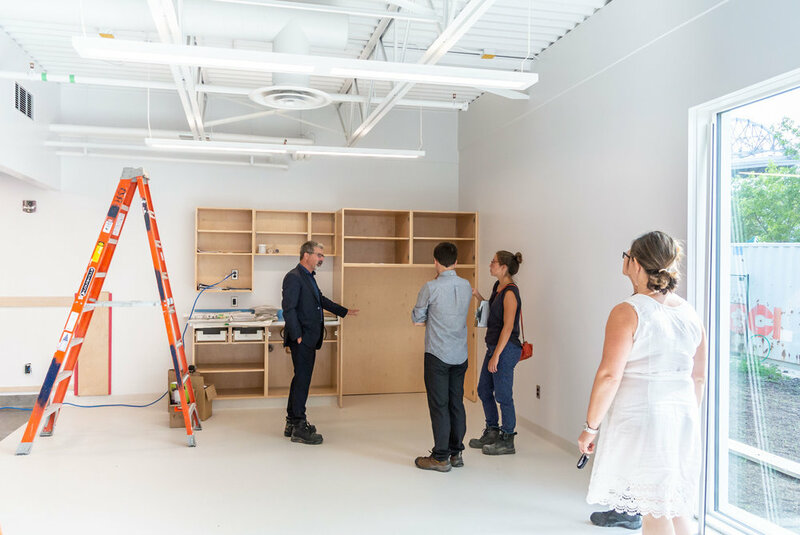 At the end of September, a group of 30 University of Manitoba architecture students had the opportunity to visit the 29,447 sf new building as part of their fourth year construction course. Intern Architect and Contract Administrator, Kristin Szuminsky toured the hard hat and steel toe clad students around the construction site and answered questions ranging from what it’s like managing a multi-tenant building, to how integrating various systems into a project of this scale works, to what it’s like to be a woman on the job site. Special thanks to Kristin for taking the time out of her day to lead an informative tour. Thanks also to U of M instructor Jac Comeau for coordinating the class tour, and to the students for their interest in the construction process and for providing us with photos from the day. 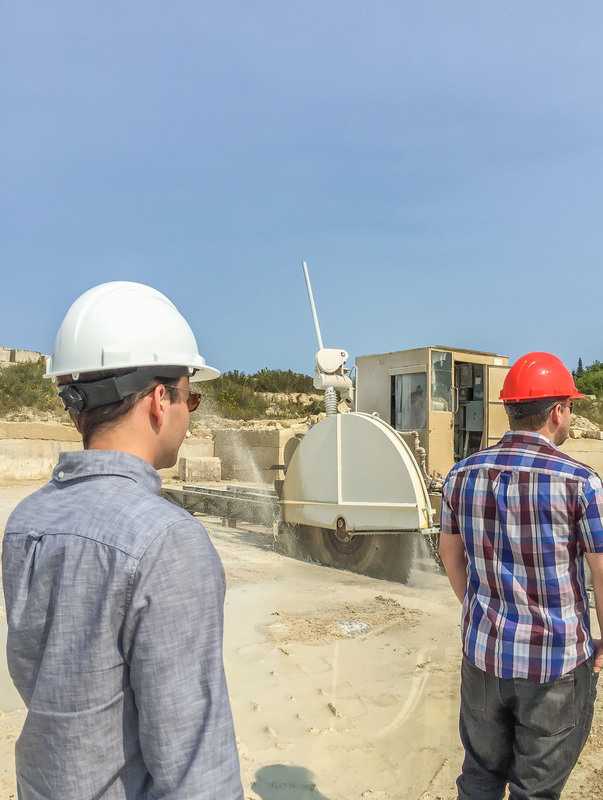 This summer, Gillis Quarries gave architecture and design industry professionals the opportunity to tour their stone quarry in Garson, Manitoba. With Jeffrey Dolovich and Keith Gillis as our guides, a number of MMP staff attended one of the tour dates last week. Gillis Quarries was founded in 1910, and has grown over the last decade into Manitoba’s largest stone quarry, specializing in Tyndall Stone. This porous, light stone has an intricate grey veining pattern of magnesium carbonate which was created by the burrowing of ancient marine creatures within the calcium carbonate bed 450 million years ago. Tyndall stone is quarried only in Manitoba, and can be seen gracing the exteriors of many civic buildings throughout Winnipeg. Tyndall stone was favoured by many architects and designers at the turn of the century. MMP Architects has a vast history of using Tyndall stone as can be seen on the Centennial Concert Hall, the Manitoba Museum, Broadway Disciples Church, the Great West Life Building, the Manitoba Building at 270 Osborne, and more. 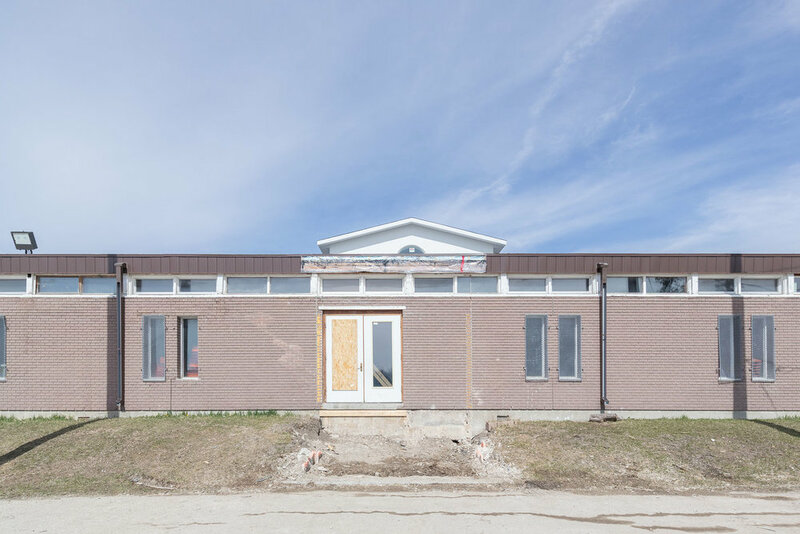 An exhibit of Tyndall stone and its uses throughout Winnipeg’s history was put together by the Winnipeg Architecture Foundation in 2013, it’s an interesting read and can be found here. Our tour of the quarry was fascinating. 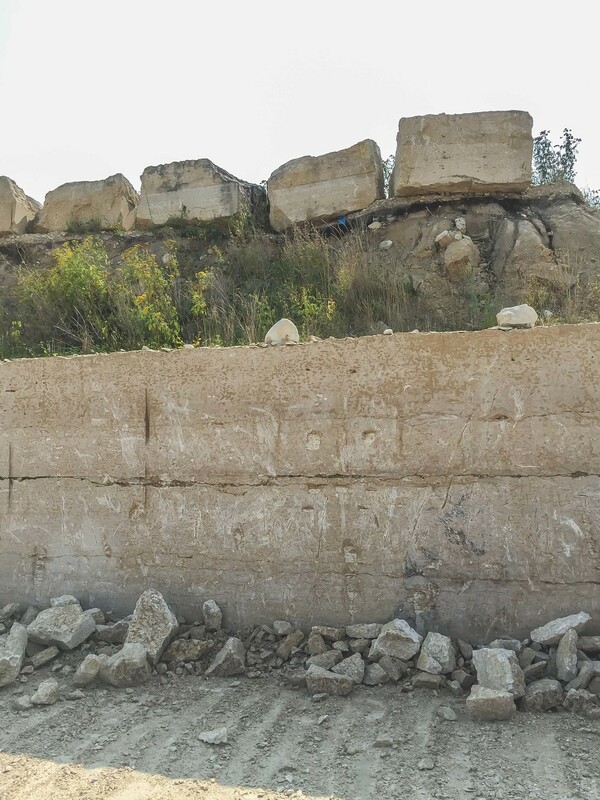 Tour attendees were able to get down into the quarry and see how the stone is cut with two different diamond blade saws, how a crew extracts 8-tonne blocks of the limestone, and how the blocks are stacked, labeled, and prepared for processing. The tour also included a look at the processing plant where we were able to observe the cutting and finishing of shapes and mouldings with saws, lathes, planers, and grinders. MMP would like to extend our thanks to Gillis Quarries for the engaging tour of their operations. For more information on the quarry please visit the Gillis Quarries website here. Please see above for a few photos from the tour. 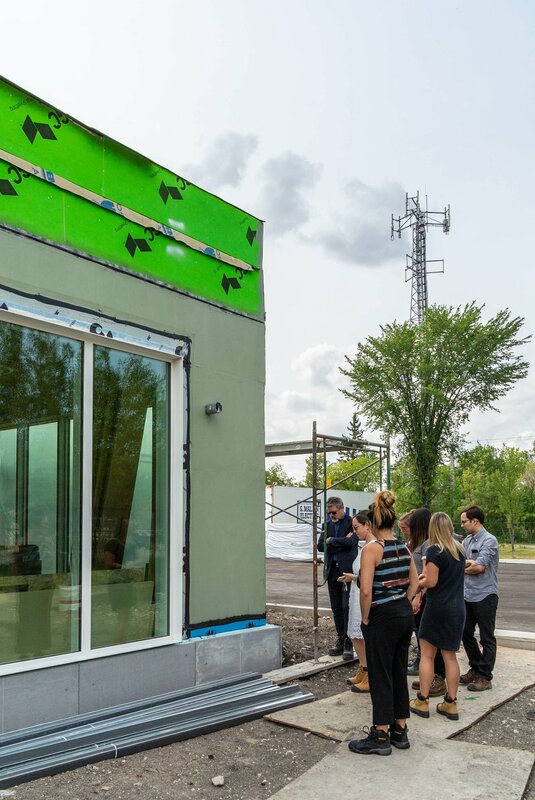 MMP is currently in the construction stage, acting as primary consultant, for a new bilingual Health Access Centre in Saint Boniface, Winnipeg. 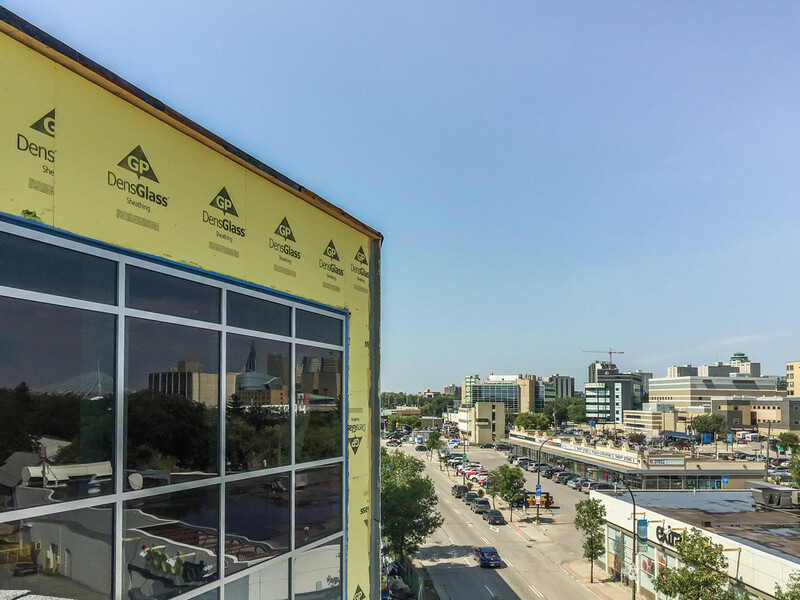 The Centre will house Centre de Santé Saint-Boniface, a staple in health services in St. Boniface, alongside several other health and community organizations. Access Saint Boniface will provide easier access to bilingual health and community services including primary health, primary care, mental health, early learning and childcare, disability, and home care. On Thursday August 13, 2015, six MMP staff had the opportunity to visit the new 50,000 sf building located at the corner of Goulet and Kenny. 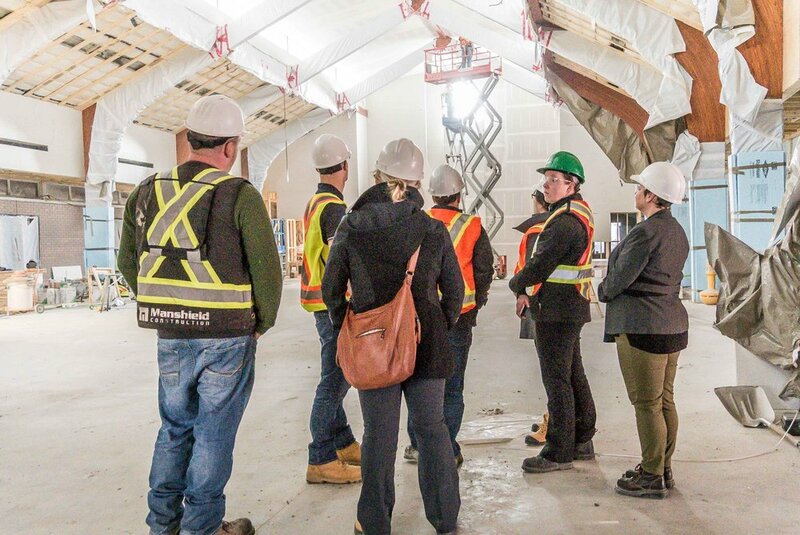 Intern Architect and Contract Administrator, Kristin Szuminsky showed staff around the construction site pointing out specific details, project intentions, and construction issues and solutions, throughout the four floors and accessible roof. 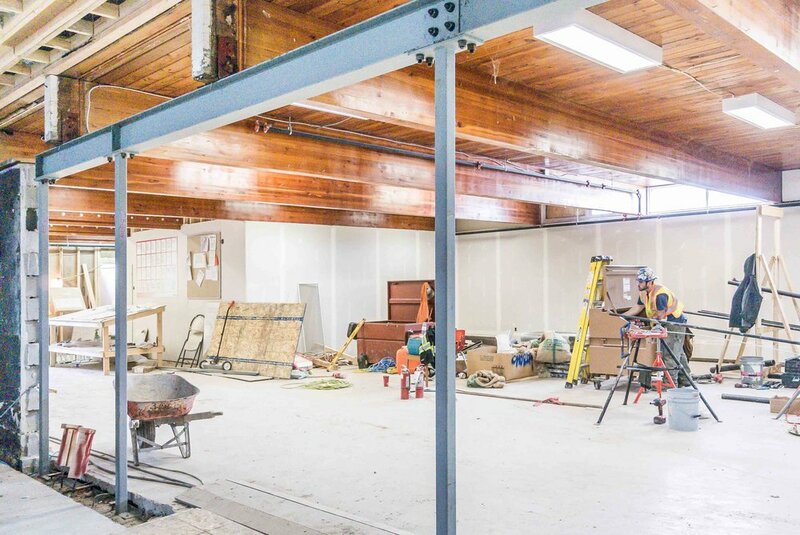 With an anticipated project completion date of Spring/Summer 2016, the site tour provided an excellent behind-the-scenes look at the construction stage of a project that MMP Architects has been working on for the past two years. Special thanks to Kristin and site supervisor, John Labay for the tour and access to the space. More information on Winnipeg’s Access Centres can be found here.